This show blew my mind and had my hiding behind my pillow for weeks! 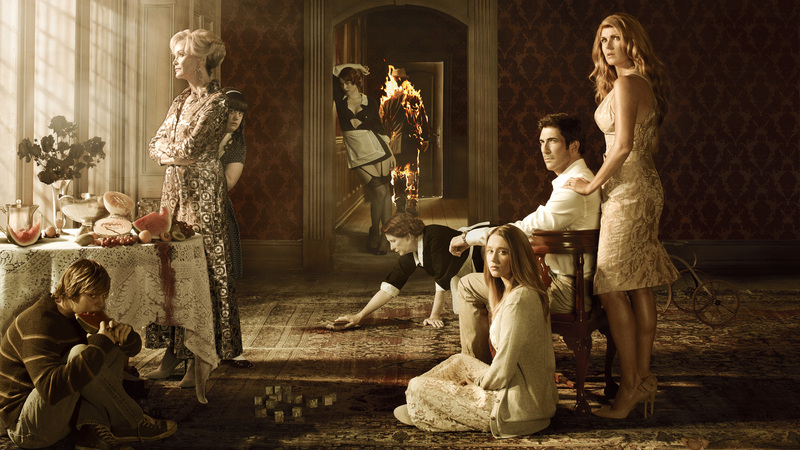 A new family move into "Murder House" and well, let's just say they're not exactly alone! It's outright horror with a psychological twist and definitely worth a watch and will have you addicted in a matter of minutes. Be warned: it's not for the sleepless or easily scared. I'm a sucker for fairytales and this brings them in spades. 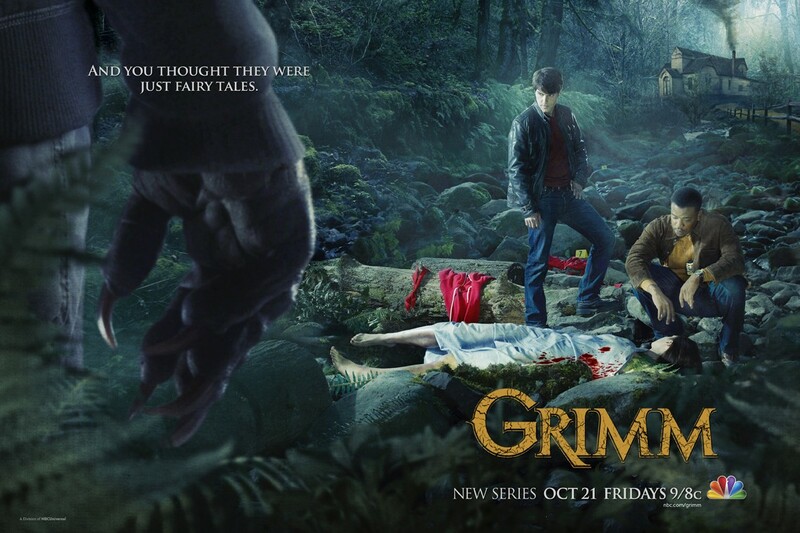 It sees the journey of the "Grimm's" - who can see a whole host of fairytale creatures, but poor Nick doesn't quite know this yet! Needless to say it does not disappoint those of us holding onto our inner child, and is entirely acceptable to watch with it's police department twist. I'm a huge Whedonverse fan and seeing Elisha Dushku back for the role of Echo - a doll in the dollhouse of made-to-order play things for the rich did not disappoint. This show had me on the edge of my seat, you really don't know what's coming, or who she's going to be next. 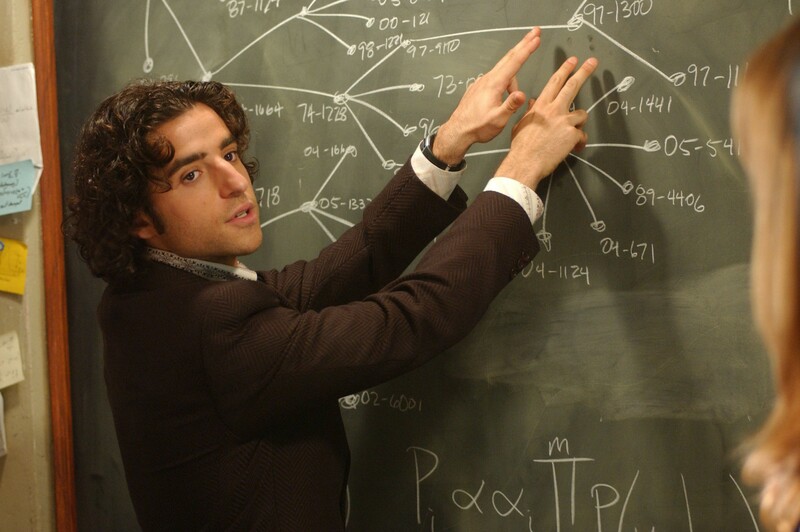 I'm partway through season two of Numb3rs for the simple fact that I watch it with the boyfriend - else I'd have finished it already! This show is about two brothers had me hooked from the word go. One's a genius, the other a detective - add in some seriously mind-blowing, crime-solving mathematics and boom - you have a show with enough action to keep you interested and enough mathematics that you can fool yourself you're practically revising! A spoonfull of dysfunctional family, a dash of mad scientist and a whole load of pseudo-science and you get Fringe. Admittedly this show ends up a far fetched place but I just couldn't tear myself away. The show follows Olivia Dunham, a police officer who is tasked with releasing the brilliant (and slightly raving mad) Walter Bishop from a high-security prison in order to save a life. The one problem? Walter can only be released into family custody and his family are not exactly "cooperative". It's a brilliant show featuring mind-blowing pseudo-science dreamt up by the marvellous J. J. Abrams, no wonder they picked him up for the big bucks movies. Let me know your Netflix recommendations in the comments below!